When you hear someone call for an Irish Car Bomb, you shouldn’t feel the need to shelter in place because it’s not a weapon – however it is the “weapon” of choice for people celebrating St Patrick’s Day in bars all across the US. It is not, however, well known or popular in Ireland. It combines three very Irish ingredients into one strong drink. 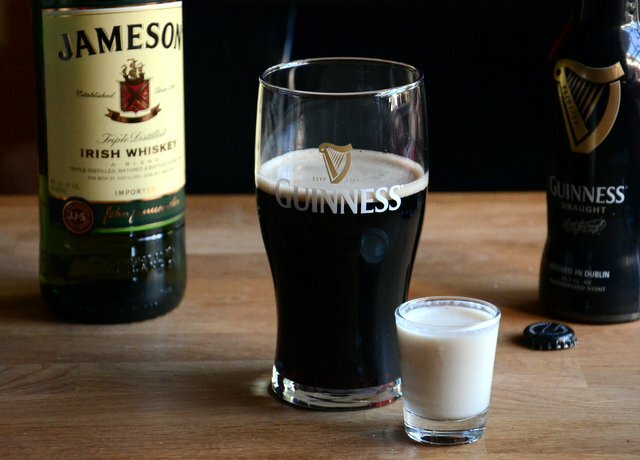 The Irish Car Bomb is what is known as a “bomb shot” drink, meaning that a shot is dropped into a glass of beer and the whole thing is drunk very quickly. It is made with Guinness stout beer, Irish Cream and Irish whiskey. The Irish cream and whiskey are combined in a shot glass and dropped into a half-pint of stout, then the drink is chugged very quickly. Some bartenders layer the whiskey on top of the Irish cream, but just as many don’t. It adds to the presentation of the drink and gives it a nice look, but most St Patrick’s Day parties are going to pay more attention to how fast they can drink it down than to how it looks before it is served. Pour the Bailey’s into a shot glass. Pour the Jameson over the Bailey’s. Fill a pint glass half way to the top with Guinness Stout beer. Pick up the shot glass and lower it into the beer glass, holding it just above the beer to prevent splashing. Drop the whole shot glass into the beer. Chug the mix as fast as you can and do not stop drinking until the glass is empty. 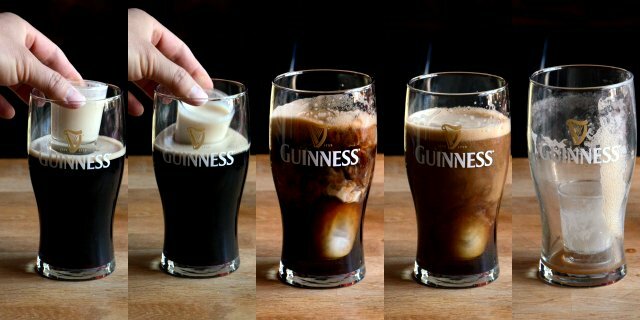 Want another way to use Guinness? Try a Guinniess Ice Cream Float for dessert!